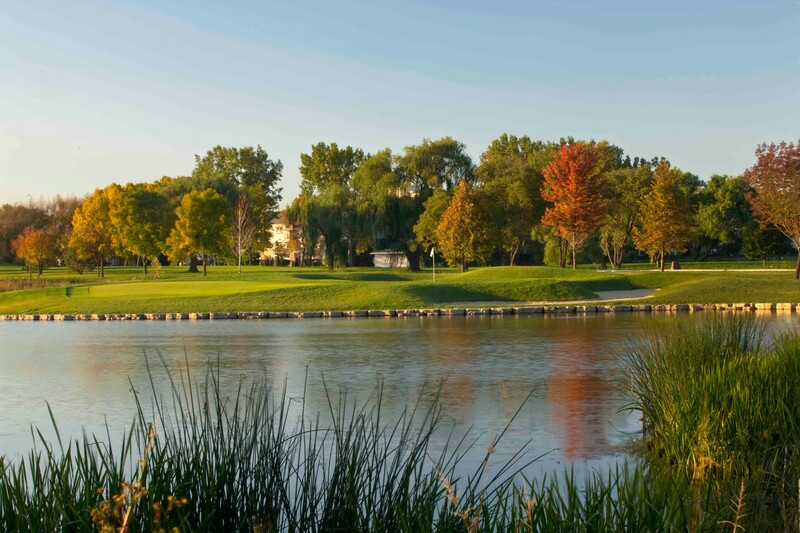 The new-look Poplar Creek Country Club re-opened in the Spring of 2011 after an extensive flood remediation and re-branding effort. Major, chronic flooding problems left the course unplayable (and closed) after even moderate rain events, costing $25,000 to $135,000 annually in lost revenue and a reputation among outing organizers as being a booking liability. 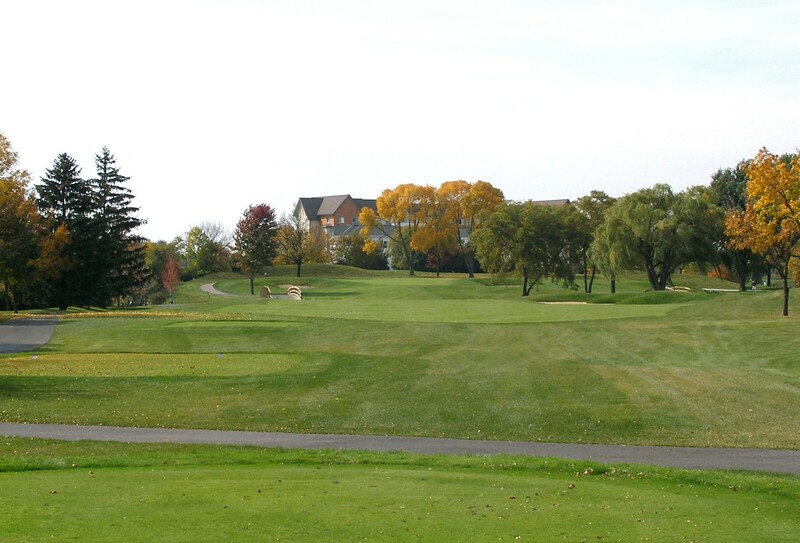 The Park District, looking to change this reputation and position the course for long-term success, hired Lohmann Quitno to prepare a comprehensive plan to improve course drainage and minimize future down time. 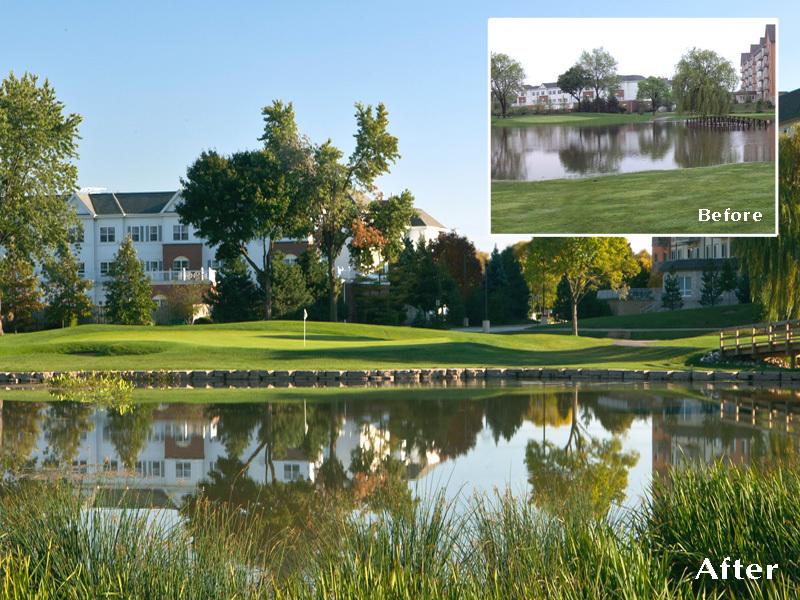 Three entire fairways were lifted out of the flood plain and an extensive system of ponds was added for vastly increased water retention. 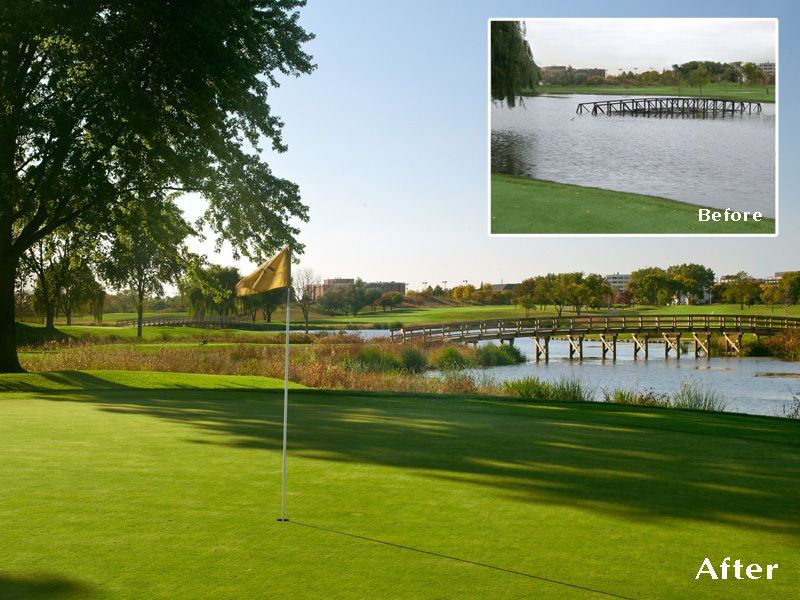 The bigger, more visible water hazards create interesting risk-reward shots, and are edged with stone armoring and wetland plantings to improve filtering capabilities and bank stability. 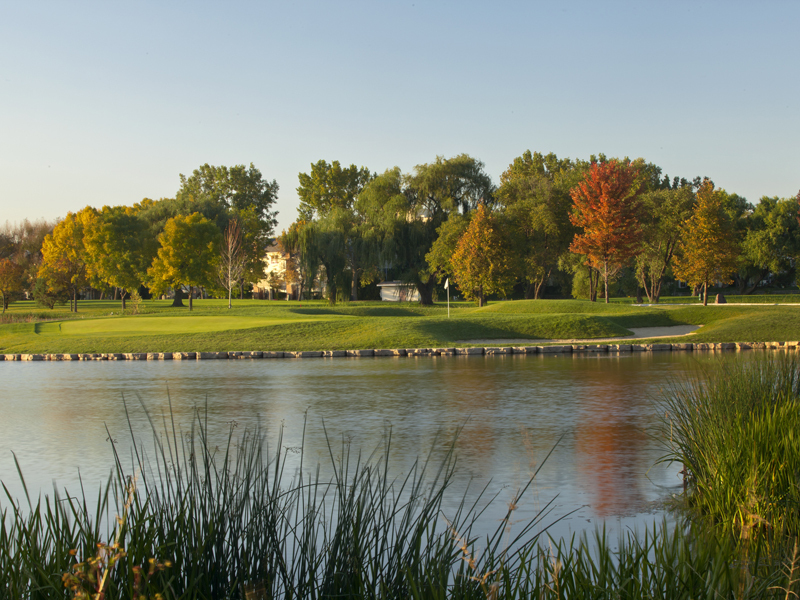 Since reopening, the course has experienced ZERO storm closures and increased average annual rounds by 7%.